My boyfriend is never too keen to photograph me (I suppose he thinks I'm an exhibitionist), but I couldn't resist this green door and made him take a photo. We are near the British Museum, a wonderful place to while away some hours when you have no money (we originally wanted to go bowling at the All Star Lanes in Bloomsbury, but at £8 each for one game it seems a bit mad). I found this play suit in the Urban Outfitters sale, not really realising quite how short it is! The cosy cardigan is D's once again, a lovely Penguin number. I always encourage him to buy cardis for my personal use as well as his! I wore the outfit to my friend from work's leaving party last night, which was a fun little affair in Bethnal Green. Today (what's left of it) I plan to stroll down to Muswell Hill, check out the charity shops and finally try and tackle the issue of my Blackberry not working abroad (darn Phones 4 U). As yes, on friday I'm off to Berlin again! This time with one of my best friends, who found a cheap deal. I cannot wait! (yes, work is still majorly crap). 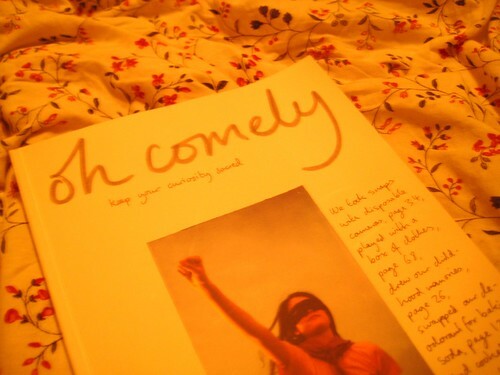 I was curious about Oh Comely Magazine after seeing it mentioned on Kani's blog and found it in WH Smith. It's the right blend of fashion, photography, interesting stories and little things, and not too pretentious either, although maybe they do use the word whimsical a bit too often. 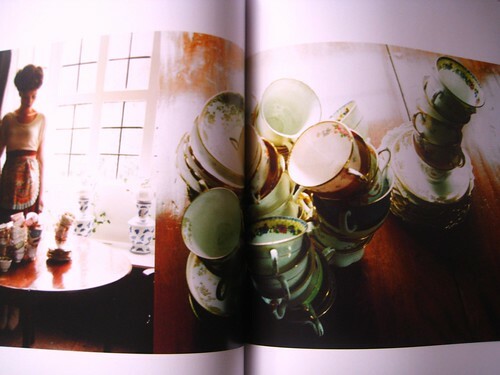 The two photos at the bottom are from the first issue. i can imagine boys thinking it's really weird! i mean most of them generally don't care about fashion. yet some seem like full on pros with their picture taking, ha! glad we agree. 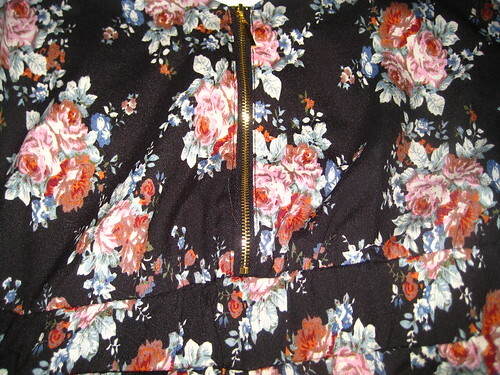 the playsuit is really pretty - and i love stealing guys clothing too! Oh bugger, I was just about to blog about Oh Comely! Will you mind if I go ahead and do it anyway? Don't like to step on other blogger's toes! Love all of the photos, my boyfriend is the same when it comes to taking blog photos when we're out, but usually it's because we don't want to make a scene because I hate it that people always stare when you're having your photo taken! Your fuzzy little jacket is amazing! I can't wait to see photos from your Berlin trip, make sure that boy of yours takes plenty! I keep seeing this mag around, is it good? Also, that really is a great green door! 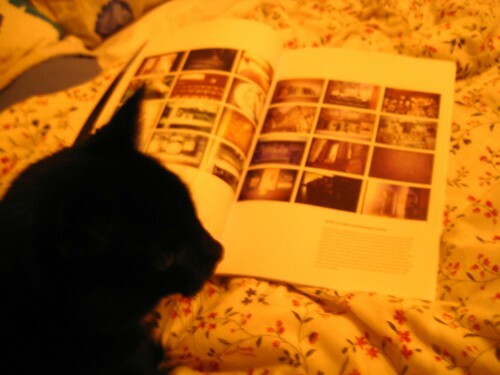 Bloomsbury is so good, I'm dying to go back there soon. I have a hard time concentrating on the bowling though as I'm usually too busy dancing to their amazing music! I have been a massive Lula fan since the beginning and was excited when Oh Comely hit the shelves too. But I've been too busy to even open the cover yet - a treat for later this week i think. great pictures!! I love your coat!! Getting my boyfriend to take photos of me was like pulling teeth, and always caused fights. I think that's the main reason I saved up for a camera with remote... even though I really have no reason for it other than outfit pics. wow that photo of the colorful houses is gorgeoussssss. I would love to see that street. I love the way you dress, it is so very unique! Your outfits inspire me to make my own more special. 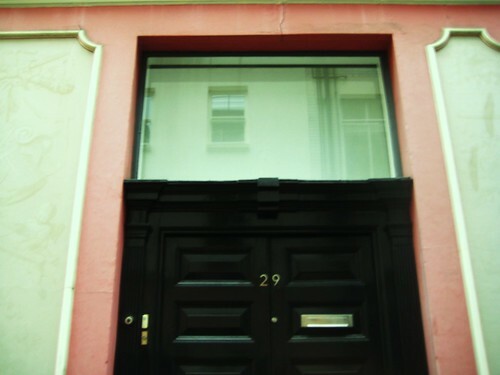 What a lovely coloured door :) I'm glad you made him take a photo. Have a lovely time in berlin you lucky thing! I've wanted to check out Oh Comely mag before but with little money coming in and an already crazy amount of magazines subscriptions I've been putting it off. Glad to hear you like it! Yeah, I'm hoping I won't get bored--that is my biggest concern. That, and craving other foods too much! That green door is sooo pretty as are all your photos. 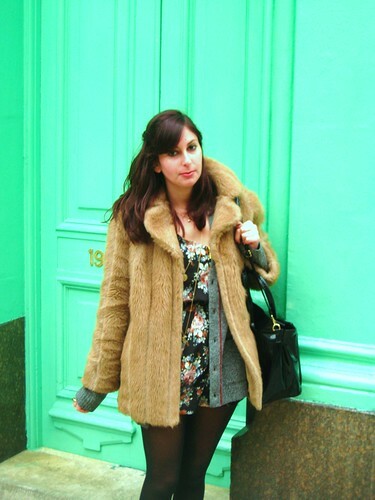 Your coat = beyond gorgeous:) I am absolutely loving your playsuit as well. 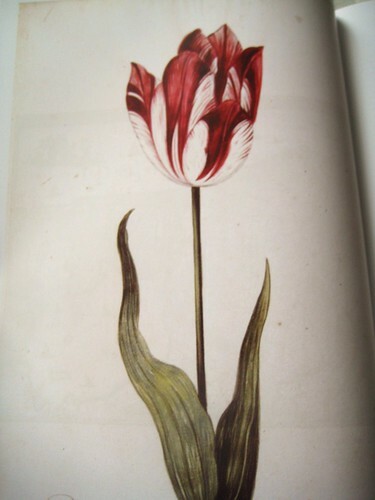 So much loveliness in this post. 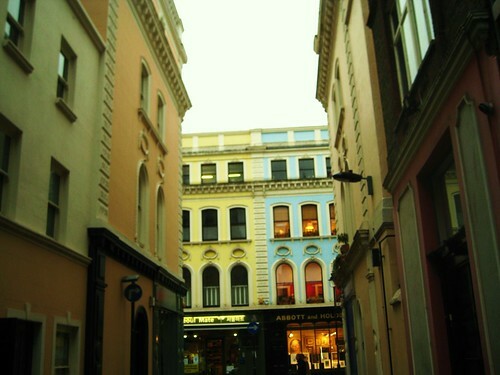 Yay for brightly coloured buildings! I'm also intrigued by this magazine. Will have to check it out! I love your outfit here. What beautiful buildings too! The magazine looks like one I'd like, I should take a look.